Hire an experienced locksmith to help you get back to work more quickly. Floyd began as locksmiths in 1945. Today, our locksmith department is as vibrant as ever. Our lock techs and sales consultants each average over 20 years experience, with Floyd, in our industry. They have continued their education as to the latest in physical security and electronic systems and solutions. Contact Floyd today for your no-charge, no-obligation security estimate. 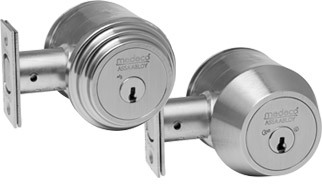 Floyd will install new high-security deadbolts and cylinders, rekey or repair locks for your business. Floyd is a Medeco Authorized Dealer with our own patent, meaning your keys cannot be duplicated unless the requestor is on an authorized list. Nobody knows high security like Floyd Security. Floyd has been a Medeco Authorized Dealer and have held our own keyway patent with them for over five decades, this means a higher level of confidence and security when purchasing Medeco keys through Floyd Security. The eCylinder allows you to keep your existing deadbolts in place and allows you to keep a physical key. 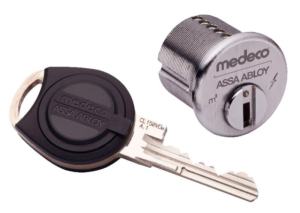 The biggest advantage with the Medeco eCylidner is it allows business owners to give different access levels with the ability to capture audit trails. A LOCKING SYSTEM IS ONLY AS GOOD AS ITS KEY CONTROL. The next time you need a key duplicated, consider the risk of a security system that has no key control protection. If your keys are easy to copy, chances are the lock itself may be inadequate. An effective key control plan is essential to you. Floyd Security can help you manage your key control program for you. Our Key Records Department will work closely with you to choose the level of key duplication protection and convenience that’s right for you. If you’re investing in a security system for your home, business or institution, Floyd Security helps you to control who has your keys. 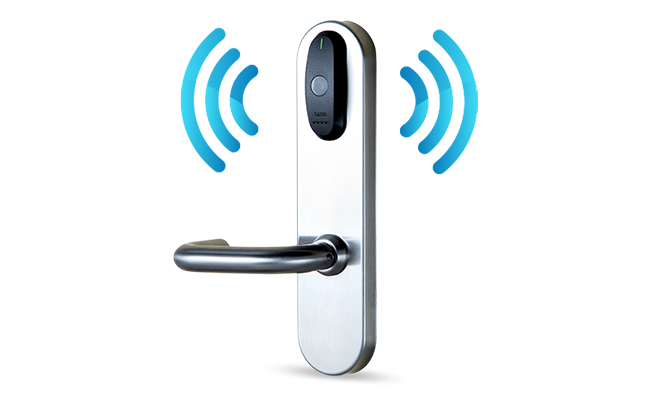 SALTO is a wireless access control solution. You can use mechanical keys, key fobs, or access cards. This solution allows you to quickly update access levels as needed. Salto has a lockdown feature in the case your building needs to be locked down in the event of an emergency.